Today's video laments the lack of save features in some Tecmo games, particularly Rygar. relegating Hip Hop strictly to the soundtrack of most games. 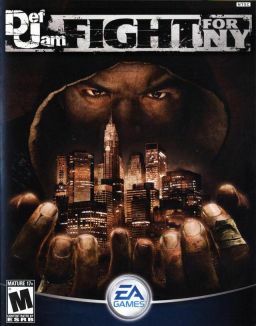 Electronic Arts struck gold with Def Jam Vendetta, and when gamers began to ask about a sequel, EA actually decided to go in a slightly different direction, and in 2004 They released Def Jam: Fight For New York. Fight For New York, unlike it's older sibling, was a fighting game. While it wasn't Street Fighter III: Third Strike, it was a solid game with tight mechanics, a fairly decent story, and pretty deep character creation engine. At a glance it shouldn't be as deep a game as it is gameplay wise, but with the ability to blend up to three fighting styles, it's easy for gamers to find some surprising depth in their character's play style. On top of the "play as yourself (if you're a guy)" story mode, there's also a pretty large roster of characters encompassing a wide berth of popular names in hip hop at the time of the game's release. There was a pretty fun, albeit silly, storyline to back everything up, and the soundtrack is superb, as expected. Ten years after it's debut, and Def Jam: Fight For New York is still a quality fighting game. It's blend of Power Stone's frenetic multiplayer brawls and Def Jam Vendetta's knock out centered wrestling based gameplay were a great marriage and would have been an amazing send off for the series. EA had to run a good thing into the ground though, and Def Jam: Icon was released in 2007, effectively killing the series. Was Fight For New York created to be a major player in the world of fighting games? Probably not, but it did prove to be a marvelous fighter that is still a lot of fun to play despite the majority of the rappers in the game being widely irrelevant now. 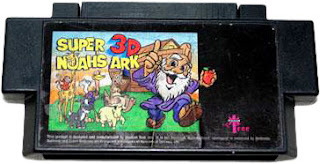 Super 3D Noah's Ark Is Back...And It's A Cartridge!!! The infamous unlicensed Super Nintendo game, Super 3D Noah's Ark is seeing a reprint. For the first time since it's debut in 1994, Wisdom Tree's lone Super Nintendo release is available in it's original state. 2014 Is Upon Us, And I Want To Be Excited. So, 2014 is in full swing, and to be honest, I can't say there are a lot of things in gaming that truly have me excited. There isn't a glut of things coming for the Xbox One or the PS4 that are inspiring a great deal of excitement outside of Titanfall and the third proper game in Capcom's Strider series, and they both have Xbox 360 iterations on deck as well. As for the Wii U, there are a few titles, but I actually have to get the console first. Then there's the Steam Machine, which is in the same position as the Wii U. I don't think I've gone into a year with this level of apathy in regards to gaming in a long time, and that saddens and worries me. All isn't lost though, as I felt a degree of apathy at the beginning of 2013, but it proved to be a great year in gaming outside of the titles that garnered all the hype. My concern though is that major game publishers are more interested in making blockbusters than games that will stand up to the test of time. 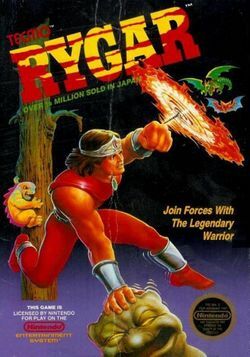 However, there are games like Keiji Inafume's Mighty No. 9, a long awaited new entry in the cult classic Oddworld series, and several other great games that won't immediately catch the eye of the crowd that didn't get into gaming until Call of Duty went yearly, but they'll win any gamer over who appreciates fine game artistry over big budgets. Here's to hoping that 2014 proves to have as many great experiences as 2013 gave gamers. I want to give my money to game publishers, so I hope they provide experiences that will give me a desire to part with my funds. Can Capcom Get It Together In 2014? Today's video finds me discussing Capcom's new commitment to Fighting Games while neglecting big chunks of their Arcade backlog. Planning To Late Adopt PS3 or Xbox 360 Consoles and Games? Buyer Beware! Fanboys yelling at each other on message boards, delayed launch titles, and console shortages during Christmas. Yeah, it’s console release time. With the release of Sony and Microsoft’s new consoles, the 8th console generation is officially here. With this comes a great time for late adopters, collectors, and cheapskates. Consoles and games from the 7th generation are about to become very affordable, and the deals will become quite enticing, but all isn’t health packs and blue koopa shells. The biggest concern one should have is the dependence so many titles have on online patches. This is the first instance we’ve had where some console games have needed downloadable patches to properly function. This means a percentage of titles simply won’t function correctly if at all. Also, at some point all of those titles you heard folks talking about playing online wouldn’t be possible. This isn’t unique to just consoles, but it is definitely not as easy to work around on consoles. Another problem lies with the consoles themselves. For all intents and purposes, the 7th console generation saw a fail rate the likes of which many modern gamers have ever seen before. The Red Ring of Death was a nightmare for the Xbox 360, with many gamers going through several consoles before giving up on Microsoft’s console. Sony had several problems of their own with Playstation 3 consoles being affected by console failure errors indicated by a yellow light. The led to a lot of console gamers either giving up completely or venturing into PC gaming. With the dependability of PC gaming and its graphics superiority (if you have the right components), More and more gamers became console expatriates. Any gamer worth their salt knows how to find great deals on treasures they missed earlier on at the end of a console’s life. The conundrum lies in whether all the intangibles involved in dealing with online dependency of some games in this generation have made it a tough row to hoe for some. Will “retro hunting” for the 7th generation even be as fun as it is for previous generations, or is it pretty much a bust? Maybe some of you will find great deals on collector’s editions for the price of a budget title. Will we see a sad pile of First Person Shooters and Sports games in the corner of a local Gamestop? Hopefully the need to have everything online won’t make this entire console generation landfill fodder within the next 5 years.